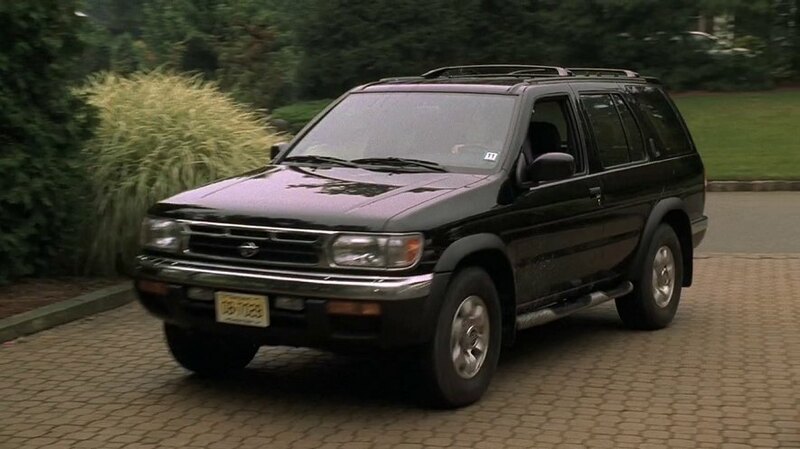 IMCDb.org: 1996 Nissan Pathfinder [R50] in "The Sopranos, 1999-2007"
This car belonged to Eric Scatino (John Hensley), Meadow's high school friend and son of gambler Davey Scatino (Robert Patrick). This car appeared in three scenes in episode 2.6 "The Happy Wanderer". His father took the car from him to give it to Tony as partial payment for the gambling debt he owed to him. Tony tried to give it to Meadow for her first car, but when she realised it was Eric's she turned it down. Eric fell out with Meadow over the incident. In the episode "Full Leather Jacket" Tony mentions it's a 1992, despite that the 1992 year would be the model before this. Probably just a production mistake.